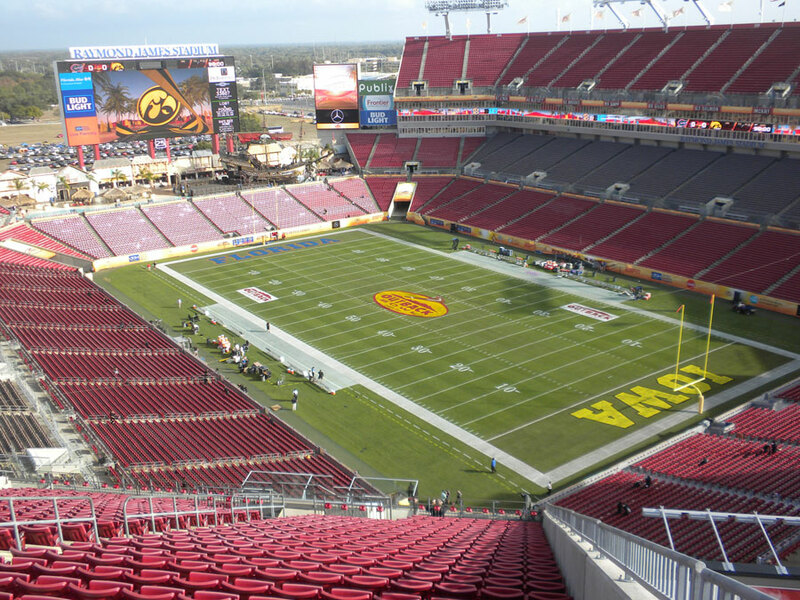 Raymond James Stadium prepped and ready for the Outback Bowl. Iowa fans woke up to good weather as they prepared to head out to today’s Outback Bowl in Tampa, Florida. The temperature was 69 with mostly clear skies at 10 a.m. There is the possibility of a shower during the game, but the weather otherwise should be clear. 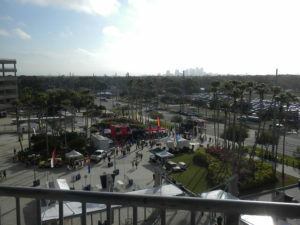 Fans starting to line up to come into the stadium. during the beach party in Clearwater when it was in the low 60’s and windy. 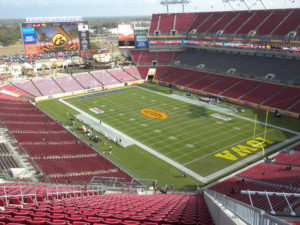 This will be the 31st Outback Bowl today and the fourth time Iowa has participated. The Hawkeyes last appearance was in 2014 when they lost 21-14 to LSU. It will be the third time they’ve met Florida in this game. Iowa won 37-17 bin 2004, and the Gators won 31-24 back in 2006. 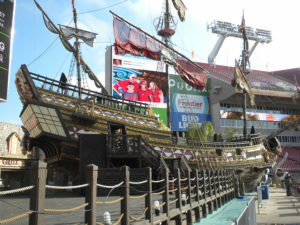 The pirate ship in the stadium. Kickoff is noon Iowa time.